You may at one time or another be faced with the prospect of having to remove one or various trees from your property. Getting rid of these damaged or diseased structures also involves tree stump removal. There are various techniques you can use for removing these objects from your yard. 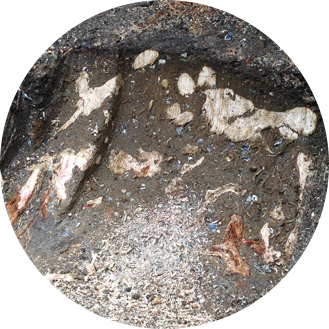 The following explains more about the removal process and provides some insight into the different methods available for tree stump removal. There are many reasons why you may want to have a tree removed from your premises. Over time these structures grow old and lose their visual appeal. Sometimes they contract diseases that cause branches and leaves to rot, giving them an extremely unsightly appearance. When this happens, it’s best to have them taken out by tree removal experts to make room for new foliage to be planted. Removal often entails cutting the structure down several feet off the ground, leaving the base behind. If you are planning to use this area for another purpose, such as planting a garden, putting in a driveway or sidewalk, etc., you will also need to get rid of its base. 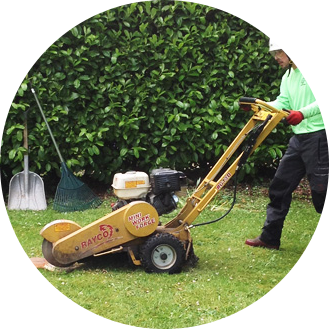 The process of removing both base and roots from the ground is known as stump removal. Tree stump removal can be accomplished through various methods to include digging out the base, having it pulled out by the roots, shredding it with a stump grinder, applying a chemical to rot the wood or burning. When you apply a chemical killer, it may take anywhere between 4-6 weeks to rot the wood to where you can break it in pieces with an axe and remove. Some removal techniques are best done immediately after the tree is felled, while others can be done at any time. 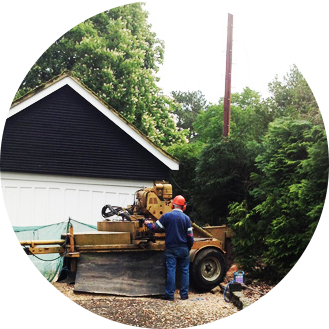 Experienced arborists can inform you of which removal process methods would work best for your particular situation. They can also ensure the base is removed safely, eliminating any possibility of danger or harm to you, your family or pets. It is advised to create a clearing around the removal area so that the workers have room to move. The equipment can be large in size and they will need a clear space to work in. Make sure before you get to this stage that the appropriate local tree removal guidelines have been followed. Please call our team at Ashwood Tree Surgeons Ltd to discuss. In some cases, you may decide to fell a tree without having the base removed. Bases from deciduous trees may re-sprout after some time and begin to grow anew. This works out great if you want a new tree growing in the same spot. However, if you want the structure removed on a permanent basis, then you will need to get rid of the remnant and root system altogether by one of the methods mentioned above. 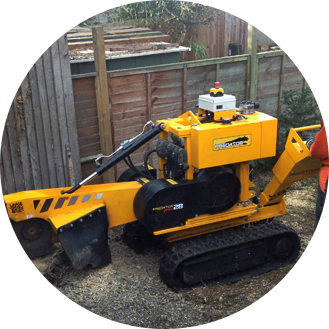 Removing stumps from your property can be a difficult process if you do not have the right equipment. Large ones, in particular, may require the services of a professional arborist to ensure the job is done right. Professional arborist companies have both the manpower and equipment needed for this task. They can see your yard is successfully cleared of all remnants within a reasonable time frame. Most companies will also remove whatever debris is left behind as part of the package. Please call our team at Ashwood Tree Surgeons Ltd to discuss. Once you’ve found us, you can inquire as to what you should do to prepare for the job at hand. You may be asked to remove all personal belongings from around the area such as yard decor, sports equipment, kids’ toys, etc. to make it easier for the stump removal team to bring in their equipment and do their job. You could also cut back any bushes or trim the grass around the area in preparation for the job. A member of our team can let you know what part you can play in preparing the area so that the job can be completed quicker and smoother.